The United States Renewable Energy Association is your trusted partner organization for Renewable Technology. We brag about the good stuff that pays its way and improves the way we power our future. We need companies and people like you to keep the momentum going. With your participation, we are growing rapidly! We promote Renewable Technology, like – Electric Aircraft, or striping electricity directly from the air, massive energy harvesting from multiple sources, solar/wind/wave/biomass technology to name a few of the advancing systems. No “Green-Washing” here. Just stuff that works or changes everything. Article by up and coming contributors – University of Michigan, Lawrence Tech, MIT and CCS are some of the many participating centers of excellence providing top contributors to help inform and educate our association members. Industry Insiders – Top companies provide us with insight as to the developing industry known as Renewable Energy. Learn about concepts, design, architecture and systems detail. Everything from simple to advanced concepts lend themselves to our diverse membership. Discounts on Products and Services – Our member companies have committed to provide discounts on Renewable Products and Services. Each company contributes as appropriate depending on the product or service provided. Photo and Other Competitions – Stay involved and contribute and you could win valuable gifts or prizes. Check out our Facebook for more info. Post news, industry information and PR at our new site that constantly updates with a renewable media info stream (coming soon). Calendar – Women of R.E., Men of R.E. Special focus on the movers and shakers of the Renewable Energy Industry and their impact. United States Renewable Energy Association, LLC., (USREA) is a renewable energy advocacy group, working to both educate and promote advanced technologies in the R.E. industry. We provide a blog and news service online, and encourage participation through knowledge posted by educational, corporate and enthusiast members alike. Over time, our data in a variety of advanced technologies will become a repository to be shared among our member enthusiasts and educators. Site news and perspective will keep people informed about industry events and milestones with a core focus of renewable energy in the United States. This aspect is an evolving attribute of the usrea.org site and will improve and expand with our resources and social media outlets. Our association members include product manufacturers, suppliers, installers and academics’ in the renewable industry, as well as the customers that would use these resources. We actively solicit news and industry perspective from both those that provide R. E. products, and people and companies that use solar, wind, EV and related industry technologies. Our goal is to fully cover all contributing renewable systems. We are “One Arm Paper Hangers” but with your help we will continue to grow. Further, we are building a network of affiliates that offer discounts and incentives on products and services to our association members. As our organization grows, more member customers will have direct access and benefits from our company affiliates. As an energy advocacy group, we attempt to lead by example through the conservation of resources wherever possible. Our volunteers use a distributed workforce model, which allows us to utilize the best industry contributors while keeping our workforce flexible, minimizing overhead, commute time and wasted energy use. Our goal is to be the very best online solution for buying, selling and researching new energy products and services. We want to provide the most positive experience possible for our consumers, dealers, and affiliated partners. USREA is a self funded organization, supplemented through private and corporate memberships, donations, advertising and sales of R. E. educational and efficiency products, logo-wear, etc. We continue to expand our industry reach with the addition of CROWDRE.org, a renewable energy crowd-funding site, and upcoming RenewablePR.org, a renewable news and PR dedicated site. If you are a Renewable Energy dealer, manufacturer or corporate sponsor interested in participating in the USREA program, please contact us for further information. If you are interested in becoming a member or would like to contribute to our objectives, please contact us or we invite you to become a member. Gerry has over 30 years experience in the electronics, renewable energy, automotive, broadcasting, teaching, and marketing industries. He has excelled in a variety of disciplines and industries including as an FCC First Class broadcast engineer, electronics and mechanics instructor, master automotive mechanic, product designer, marketer and private pilot. He has owned or partnered in a number of companies and participates as a Public Speaker on Emerging Technologies. 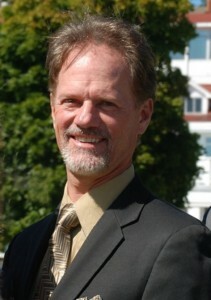 Gerry has traveled to Asia and Europe while designing new products for several companies. Gerry has received training from various trade and technical schools including GMI, Specs Howard, SVSU, and multiple specialty institutions. Dr. Mick Webber has over 30 years of business management experience specifically focusing the last five years in mergers and acquisitions in a variety of industries. With a strong management and business background demonstrating expertise in sales, finance, management, operations, new product development, high volume manufacturing, worldwide corporate account management and Air Force sales management. Dr. Webber was President and partial owner of Steelmax, LLC. 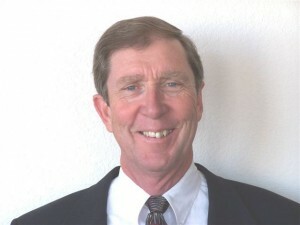 Dr. Webber received his Doctorate of Management from Colorado Technical University, a Master of Business Administration (Management) from the University of Santa Clara, and a Bachelor of. Science (Accounting) from California State University San Jose. 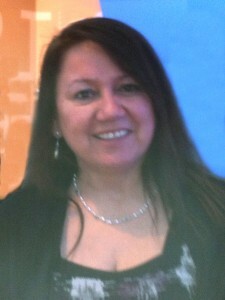 Vivian joined USREA.org in 2012 as part of the management team. As a higher education award winner and having excelled in the development of highly successful programming in support of the retention and graduation of university/college level Indigenous learners, Vivian decided to strike out and take on new challenges within the private sector. Given her long standing interest in renewable energy and sustainability as a way of life and, in consideration of her views on the industry as a Native American (Ojibwe/Pottowattami Tribe), Vivian brings a unique perspective to the industry as well as a host of management, marketing, and administrative skills.